Today (Jauray 8, 2018) a bipartisan group of 52 American national security leaders issued a statement urging U.S. policymakers not to undermine the Iran nuclear agreement. They also expressed support for the rights of the Iranian people to free speech and condemned the use of force against protestors. The statement comes as the Administration faces a key deadline. By January 12, the president must decide whether to violate U.S. commitments under the Iran nuclear agreement by re-imposing nuclear sanctions, or continue to waive the sanctions and remain in compliance. Iran continues to abide by the terms of the agreement, according to U.S. defense and intelligence officials, U.S. allies and international nuclear inspectors. The signatories include: 11 former members of Congress, 12 retired flag officers of the U.S. military, and six former U.S. ambassadors to Israel. Prominent signatories include Paul O’Neill, former Secretary of Treasury; John Danforth, former Senator and Ambassador to the United Nations; Richard Lugar, former Chairman of the Senate Foreign Relations Committee; Carl Levin, former Chairman of the Senate Armed Services Committee; Lee H. Hamilton, former Chairman of the House Foreign Affairs Committee; David Dreier, former Chairman of the House Rules Committee; General Michael Hayden, former Director of NSA and CIA; Admiral Eric Olson, former Commander of Special Forces; General Johnnie Wilson, Commanding General of U. S. Army Materiel Command; General Chuck Boyd, Deputy Commander in Chief of U.S. European Command; and Thomas Pickering and Nicholas Burns, both former Under Secretaries of State for Political Affairs. Full text of the document can be found here and pasted below. Prevention of an Iranian nuclear weapon is a vital U.S. national security objective. The multilateral nuclear agreement with Iran, the Joint Comprehensive Plan of Action (JCPOA), assures that if it continues to comply with it, Iran cannot acquire a nuclear weapon for at least 13 years, after which time the parties can either implement a follow-on agreement or be free to take other approaches to keep Iran to its JCPOA pledge never to acquire a nuclear weapon. The Iran agreement does not guarantee that Iran will be without a nuclear weapon permanently, but it represents a major first step toward achieving an important long-term U.S. objective and a foundation on which further progress can be built. 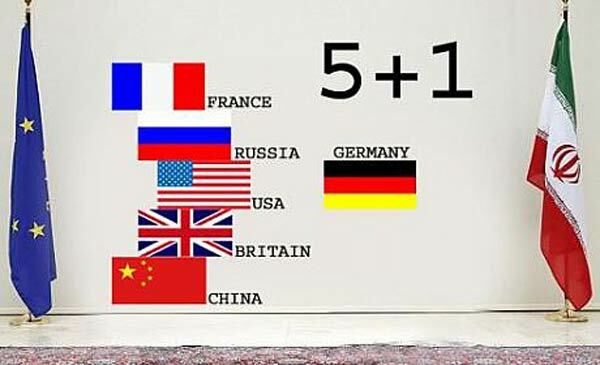 The U.S. together with the UK, France, Germany, China, Russia and Iran should, therefore, continue to implement rigorously the JCPOA. The U.S. should also participate actively in the JCPOA Joint Commission to ensure Iranian compliance; to influence necessary responses to any Iranian violations; and to explore with other Joint Commission members ways to prepare supplementary or follow-on agreements that provide long-term security against an Iranian nuclear weapon. We also believe that continued implementation of the JCPOA is critical for the security of our European and East Asian allies, as well as to a continued positive, coordinated approach toward the Middle East and nonproliferation. Commitment to full compliance with the JCPOA should not prevent the U.S. and its allies from confronting Iran where necessary to enable a political solution in Syria, the national stabilization and territorial integrity of Iraq, and a peaceful settlement to the war in Yemen. U.S. strategy must ensure that Iran does not have a nuclear weapon and that neither Israel nor the Gulf States are threatened by Iran or Iran's proxies such as Hezbollah. Regional security and stability and U.S. relations with partners and friends across the Middle East must remain at the forefront of U.S. policy. We the undersigned as individuals believe it is time to come together on a non-partisan basis to form this National Coalition to Prevent an Iranian Nuclear Weapon. Not all signers supported the JCPOA before its implementation. We are also supported in this National Coalition by leaders of The American Security Project, The American College of National Security Leaders, The Iran Project and other organizations that do not, as a matter of policy, sign on to coalitions. We support the rights of Iranian citizens to free speech and peaceful protest and we condemn the use of force against peaceful demonstrations. In responding to developments in Iran, now and in the future, the U.S. should be careful not to take any steps that might undermine the JCPOA which remains vital to U.S. national security. We issue this statement in the belief that U.S. policy on the Iran nuclear agreement should be determined by U.S. national security interests and not by domestic ideological or partisan differences. We call on the U.S. Administration and Congress, in the interest of American national security, to take no action that would place the United States in violation of the Joint Comprehensive Plan of Action and to remain a strong supporter of its full implementation. * The signers of this statement were either former senior officials of the U.S. government or prominent national security leaders who have not held senior government positions. The positions listed after the names of the former government officials are senior posts held while in office. The positions listed after the names of those who were not from the government are listed with their current position.